Mike Connor is a partner in the firm’s IP Litigation Group. He is a recent co-chair of the firm’s national Intellectual Property Practice and a past chair of the national IP Litigation Group. He handles patent infringement and other IP disputes and counseling. Mike has experience in technologies such as cardiovascular implants and other medical devices, mobile telephony, high speed computer networks, financial services, diagnostic imaging, music downloads, robotics, textile machinery, orthopedics, fiber optic data transmission, electric power systems, RFID and semiconductor manufacturing. 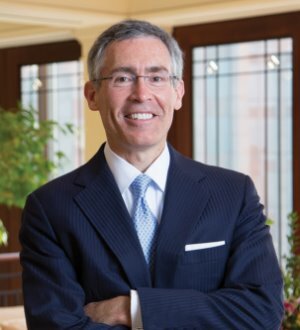 He has led trial teams in federal courts across the United States and before the U.S. International Trade Commission (ITC), has argued appeals at the Federal Circuit and has handled IPR and CBM trials at the PTAB. Mike is recognized in The Best Lawyers in America for 2016 in Intellectual Property and Patent Litigation. He is recognized among the world’s leading patent lawyers in Who’s Who Legal: Patents 2016. He is ranked in the 2015 IAM Patent 1000 – World’s Leading Patent Practitioners, the international Legal 500 for IP Litigation and Intellectual Property Law and in Chambers USA for 2016, and in 2015 he was named an “IP Star” by Managing Intellectual Property magazine.